Trailer Hitch & Wiring Part #365480-656. 2015-2017 Dodge, Challenger,Except Models w/Quad Tip Exhaust. Hitch crosstube is visible beneath bumper. Suggested Wiring (Included). Class 2, 1 1/4" Receiver Opening. 56230 Curt 4-Way Flat Trailer Wiring Connector Harness fits Dodge Challenger. Trailer Hitch Part #365480. 2015 - 2017 Dodge, Challenger, Except Models w/Quad Tip Exhaust 30 min. 2015 - 2017 Chrysler, 300, All Styles 30 min. 2008 - 2014 Dodge, Challenger, Except Models w/Quad Tip Exhaust 30 min. 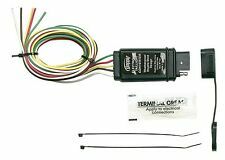 Tow Ready part number 20135 is a replacement OEM tow package wiring harness for your vehicle's trailer hitch.� This Tow Ready vehicle wiring harness provides a 4-pole flat trailer connector and a T-Connector for quick and easy installation and connection to your vehicle's factory wiring. They are customized for your vehicle, powder-coated for corrosion resistance and are compatible with 1.25” ball mounts. "Curt Hitch --. CURT - CLASS 2 RECEIVER HITCHES. Series : Curt Trailer. Notes Location : Rear. 13236 Curt Class 3 Trailer Hitch with 2 inch Receiver Tube for Dodge Challenger, Dodge Charger, and Chrysler 300. Curt 13236 is made with a vehicle-specific design for a custom fit, and is tested for safety in accordance with SAE J684. Curt 13236 is precisely welded for superior strength and fit, and is protected by a durable high-gloss black powder coat finish. This outstanding Curt product features a Co-cured in a rust-resistant liquid Bonderite coating, and is strengthened with a cast, welded, and seamless collar. Curt 13236 is Equipped with an open-back receiver for easy cleaning, and features a Weight Carrying Capacity (WC) of 3,500 LB and Tongue Weight (TW) of 350 LB. 13236 Curt is Backed by a limited lifetime warranty, and is Made in USA. The Draw-Tite 36548 frame hitch Class 2 is the perfect choice in a high-performing, receiver-style hitch. Each hitch is custom-built according to manufacturer and model year; Computer-Aided Design ensures a perfect fit for your vehicle, every time. Draw-Tite 36548 features a simple, bolt-on installation attaches to frame and bumper; no welding is required. Each frame hitch Class 2 hitch is designed from the bottom up to meet Draw-Tite's toughest standards. Draw-Tite 36548 is a solid, all-welded construction ensures maximum strength and safety. The computer aided design and fatigue stress testing ensure a strong design that will withstand whatever you dish out. Draw-Tite 36548 has an attractive black A-Coat base with black powder coat finish delivers long-term corrosion resistance and looks good for years to come. Trending at $137.05eBay determines this price through a machine learned model of the product's sale prices within the last 90 days. 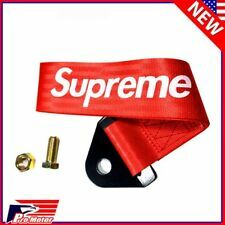 This Hitch Fits The Following Vehicles: 2005 - 2019 Chrysler 300, All Styles 2005 - 2019 Chrysler 300C, All Styles 2012 - 2019 Chrysler 300S, All Styles 2005 - 2008 Dodge, Magnum, All Styles 2006 - 2019 Dodge, Charger, All Styles 2008 - 2019 Dodge, Challenger, Except Models w/Quad Tip Exhaust Part Number 36548 Brand Draw-Tite Finish Black Powdercoat Class 2 Receiver size opening 1-1/4" Max gross trailer weight 3,500 lbs Max GTW w/ weight distribution N/A Max Tongue Weight 300 lbs Warranty Lifetime Installation Instructions [! [image] (https://www.trailerjacks.com/image/catalog/pdfdownload.jpg)] (https://www.trailerjacks.com/image/catalog/N36548.pdf). 13093 Curt Class 3 Trailer Hitch with 2 inch Receiver Tube for Dodge Charger and and Chrysler 300. Curt 13093 is made with a vehicle-specific design for a custom fit, and is tested for safety in accordance with SAE J684. Curt 13093 is precisely welded for superior strength and fit, and is protected by a durable high-gloss black powder coat finish. This outstanding Curt product features a Co-cured in a rust-resistant liquid Bonderite coating, and is strengthened with a cast, welded, and seamless collar. Curt 13093 is Equipped with an open-back receiver for easy cleaning, and features a Weight Carrying Capacity (WC) of 3,500 LB and Tongue Weight (TW) of 350 LB. 13093 Curt is Backed by a limited lifetime warranty, and is Made in USA. Curt’s Class 3 bolt-on powder-coated receiver hitches are perfect for towing mid-sized RVs/trailers, boats and horse trailers. 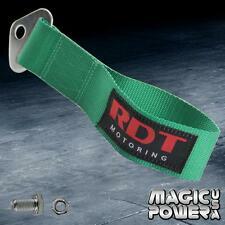 They are customized for your vehicle, powder-coated for corrosion resistance and are compatible with 2” ball mounts. 13465 Curt Class 3 square Trailer Hitch with 2 inch Receiver Tube for Dodge Charger, Challenger, Magnum, and Chrysler 300. Curt 13443 is made with a vehicle-specific design for a custom fit, and is tested for safety in accordance with SAE J684. Curt 13443 is precisely welded for superior strength and fit, and is protected by a durable high-gloss black powder coat finish. This outstanding Curt product features a Co-cured in a rust-resistant liquid Bonderite coating, and is strengthened with a cast, welded, and seamless collar. Curt 13443 is Equipped with an open-back receiver for easy cleaning, and features a Weight Carrying Capacity (WC) of 5,000 LB and Tongue Weight (TW) of 500 LB. 13443 Curt is Backed by a limited lifetime warranty, and is Made in USA. 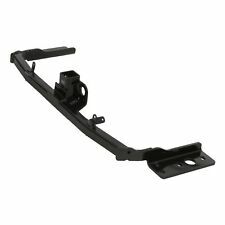 Curt Custom Fit Class III Receiver Hitch is designed specifically for your 20092010 Dodge Challenger. : 30, Receiver Size (in.). Gross Trailer Weight (lbs.). : 3,500, Max. Tongue Weight (lbs.). Sturdy tube design with 2in. Part Number: 82213643. 2014 Dodge Challenger SXT (2011-2014). For: 2011-2014 Dodge Challenger 3.6L. Trailer Hitch Kit. 15-17 Dodge Challenger. Wiring Information. This Product Fits the Following Vehicles Output Type: 4-Way Flat. Electrical System Type: 2W. 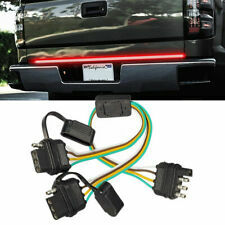 Tail Light Circuits: N/A. Turn & Brake Circuits: N/A. 2015-2018 Dodge Challenger Except Models w/Quad Tip Exhaust 118656. 2" Hitch Ball 63820 (Included). Product Fits Computer-Aided Design and Fatigue Stress Testing. Ensures Perfect Fit and Top Towing Performance. DISCOUNT HITCH CENTRAL Questions or Comments? 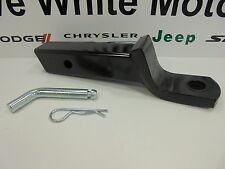 Call 702-374-8999 This Product Fits The Following Vehicles 2015 - 2019 Dodge, Challenger, Except Models w/Quad Tip Exhaust Product Picture Part Number Product Description Installation Instructions 36548 Draw-Tite Frame Hitch ---1-1/4" Square Receiver Tube Opening ---Removable Drawbar, Pin and Clip Sold Seperately ---Neat Appearance, All Frame Attachments ---A-Coat Base w/ Black Powder Coat Finish ---Rated up to 3,500 lbs.